Securosys’ solutions are developed in Switzerland by skilled experts and produced in collaboration with reputable partners. Its flagship products are the Primus Hardware Security Module (HSM), multifunctional digital key-vaults used to calculate signatures and to perform data encryption as well as transaction and message authentication. The HSM protects the Swiss banking system (Swiss Interbank Clearing system) and blockchain and crypto assets solutions. Securosys also offers related solutions such as HSM as a Service, VPN systems for fully encrypted communication as well as network encryptors belong to our portfolio. Zug-based Rice Exchange is a blockchain-enabled platform especially designed to enable all parties to interact and settle rice trades through a permissioned, smart contract solution that integrates buyers, sellers and service providers. The trading platform uses blockchain technology to enable significant costs and time savings and allow for better service pricing and benefits for all parties, including producers, sellers, buyers and services providers. 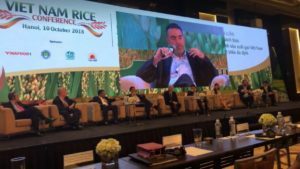 It also allows service providers like banks, insurance and shipping companies to reduce risk and offer more competitive quotes to rice market participants. Rice Exchange is accessed via tokens that can be bought, sold and leased to other parties. The startup was founded by Frank Gouverne, a rice industry veteran of over 30 years. Zurich-based Sanostro focuses on reducing negative investment periods for clients via tactical asset allocation and hedging strategies. Since 2013, the company has been provided hedge fund intelligence services, helping institutional investors capture returns and reduce risk. 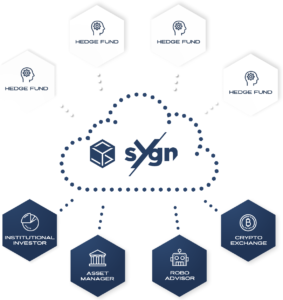 The startup has developed a blockchain-enabled platform, SYGNAL, which offers an “intelligence-as-a-service” for open and decentralized pricing and exchanging of investment intelligence. The SYGNAL ecosystem standardizes the processing, benchmarking, recombination and delivery of B2B investment intelligence. It uses blockchain technology to overcome trust issues related to selection bias and curve fitting as well as smart contracts, which allow the platform to scale faster and more effectively. 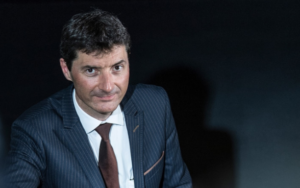 Sanostro is regulated by VQF, one of several self-regulatory organizations (SRO) in Switzerland that are overseen by the Swiss Financial Market Supervisory Authority (FINMA). The Sanostro team combines 100+ years of experience in the financial industry. The startup recently onboarded a US endowment fund as a key client and said it will be pursuing this market as it increasingly enters the crypto markets and look for institutional-grade intelligence. Founded in 2016, Zurich-based Instimatch Global is a new digital network for unsecured institutional money market lending. Instimatch’s mission is to change the way money market transactions take place by digitalizing traditional voice brokerage and facilitating global execution. 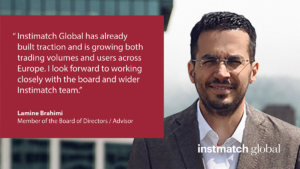 Instimatch Global’s peer-to-peer cloud-based network connects borrowers with lenders within the EUR 112 billion a day unsecured money markets, offering more efficient access, better pricing and the ability to diversify counterparty risk. Instimatch Global has over 50 registered institutional users including bank treasuries, corporate treasuries, pension funds, insurance companies, asset managers, family offices and municipalities. The company is backed by Vicenda Asset Management, a global investment boutique with a focus on private debt investing. Instimatch Global began operations in the UK earlier this month as part of an ongoing European expansion. 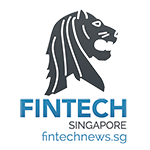 Instimatch, Rice Exchange, Sanostro and Securosys are some of the first portfolio companies of Blockchain Valley Venture, a Swiss accelerator and venture capital firm that plans to enter the Singapore market in 2019. The investment company recently unveiled a partnership with SGInnovate, the venture capital arm of Singapore’s Infocomm Development Authority, to act as a bridge between Europe and Asia for both investors and technology companies.